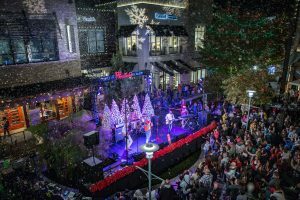 Hosted by KABC7’s Brandi Hitt, Westfield Topanga and The Village kicked off the holiday season with their “Light the Night” tree lighting celebration on Saturday, November 18. 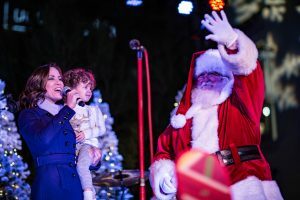 Admission was free with a donation of a new, unwrapped toy or gift for kids or teens through ABC7’s 25th Anniversary of Spark of Love in conjunction with Southern California Firefighters and Toys for Tots. 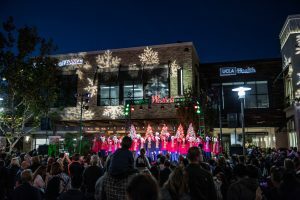 The night’s program of events at The Village included live entertainment by MUSYCA Children’s Choir, Snowfall a Capella, and the Flux Capacitors. 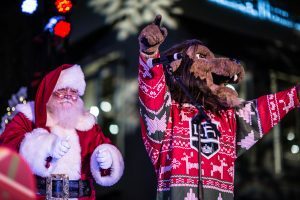 Special guest appearances were made by the L.A. Kings’ Bailey the Mascot and Santa Claus. 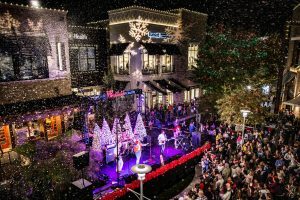 Those in attendance also experienced the season’s first snowfall. 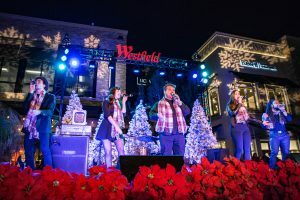 In addition to the tree lighting, Westfield Topanga also celebrated the opening of one of five special outdoor Holiday Ice Rink locations hosted by the L.A. Kings. 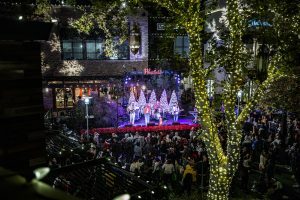 The rink will be open to the public through January 30.